This original painting is done on a turkey feather. 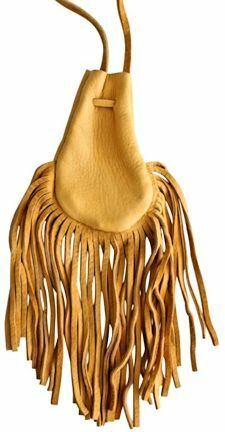 Feather is 9" tall and 2" wide. It is has been sealed with clear poly for protection and mounted on a sunrise/water background. The main feather is accented with pheasant feathers and framed under glass in a black frame measuring 12" x 6 1/2 inches. This painting is signed and dated by the artist, Veronica Carpenter-Regan, and is ready to hang. This item can be shipped internationally, but be sure to check with customs to be sure feathers can be imported to your country. We will not be responsible for items seized by customs. 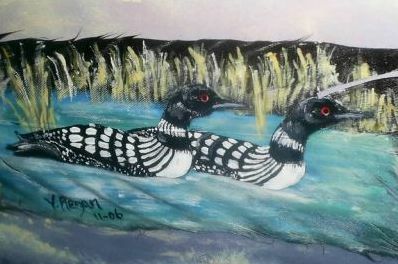 The loon totem represents communication and serenity. The call of the loon on an evening lake as the sun sets is a hauntingly beautiful, melodic sound. We can learn about mystery, transformation, fidelity and maneuverability from Loon. It's also said the Loon Totem helps in interpreting your dreams.